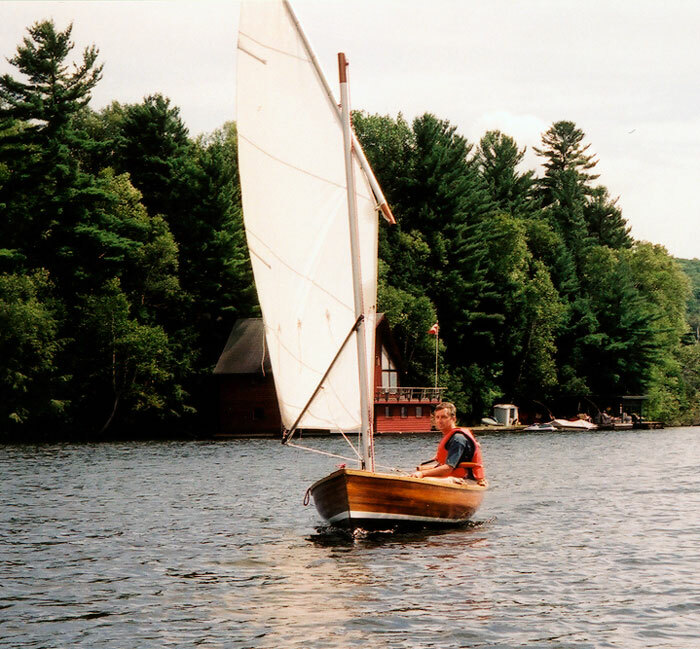 Donald Melick built a 14'2 x 4'6" Cosine Wherry in 1992. 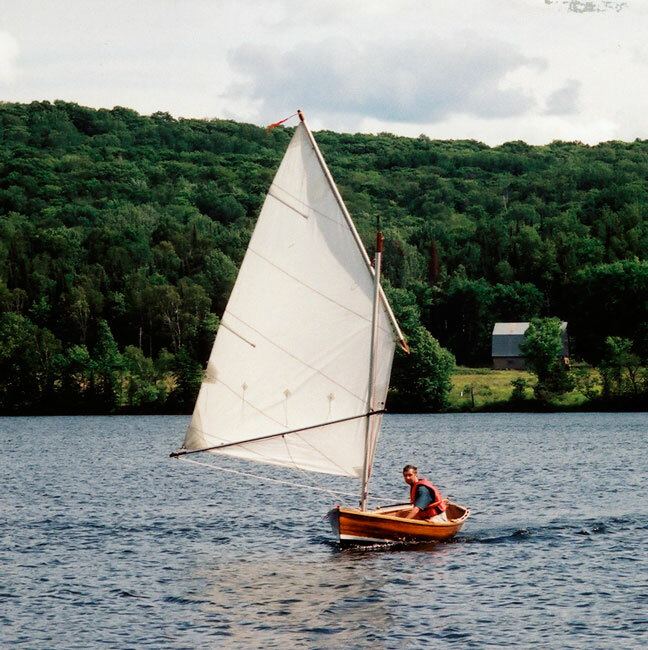 He added a sailing rig in 2002. It has 90 square feet of sail, and is a standing lug rig with a sprit boom. He used a sail plan from Phil Bolger's book 103 Sailing Rigs. Donald is using round aluminum tubing with wooden blocks at the ends for spars. He writes that the boat sails will with a good turn of speed and is easily reefed. 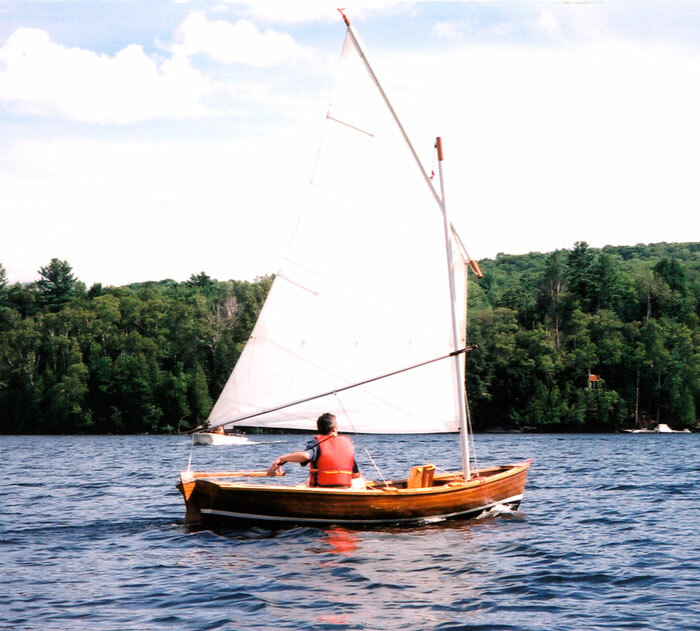 He uses it for both rowing and sailing on the Lake of Bays in Ontario, Canada.